She took her camera underwater for feature films, tv shows and documentaries in more than 50 countries. 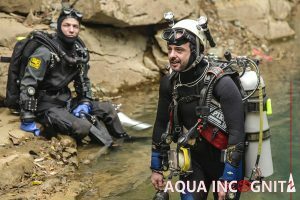 As a technical diver, she was the first to dive deep wrecks in the challenging strong current in the Saint Lawrence river in Quebec, explored and filmed caves in 10 countries taking part in many expedition team. For the past years, She spend the spring guiding iceberg diving in the arctic between teaching technical, cave and rebreather course. 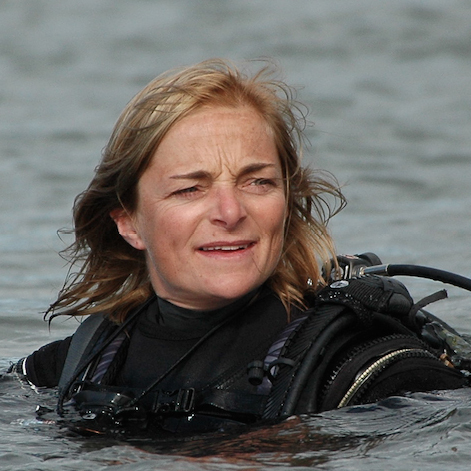 she loves sharing her passion of diving and concern for the fresh water through her films, articles in international magazine in French ,English and Spanish , and lectures for all kind of event form dive shows to museum and libraries. What drives her even more is to bring people together to empower themselves and their own environment for a better quality of life.